208 pages | 18 B/W Illus. Lifecourse research in physical activity tracks long-term trends in physical activity behaviours and gives an insight into the link between a physically active lifestyle and later-life health outcomes. However, the complexity of these behaviours, and the analytical issues posed by lifecourse research, present researchers with real challenges in accurately assessing the relationship between lifelong physical activity and health. 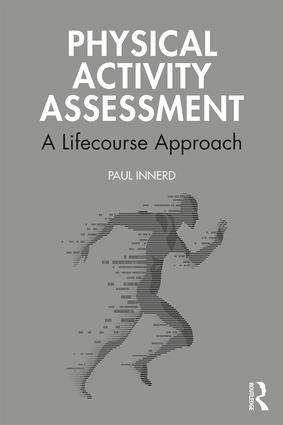 Physical Activity Assesssment: A Lifecourse Approach is the first book to approach the assessment of physical activity for health from a lifecourse perspective and provide students and researchers with much-needed guidance on conducting lifecourse studies. The book provides readers with a thorough grounding in physical activity assessment from a lifecourse perspective and assesses current methods of measurement, including comparison studies, criterion methods, subjective assessment methods and physical activity monitors. It then goes on to offer guidance on the optimal measurement techniques of physical activity across the lifecourse, suggesting how data should be collected, analysed and quantified in light of modern technology and global connectivity, and what these methods mean for physical activity guidelines and interventions, and public health outcomes. Offering a unique and novel combination of theoretical grounding and quantitative research guidance, this is important reading for any students taking modules in physical activity measurement or physical activity and health, and any researchers conducting lifecourse physical activity studies.